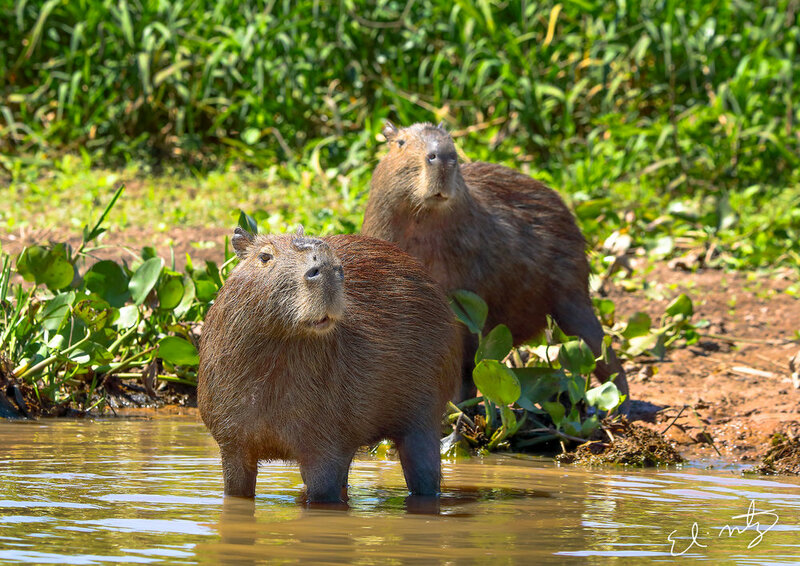 Travel with us to Mato Grosso, Brazil, for an opportunity to encounter Jaguars, hunting capybaras and caiman, on the Pantanal. The Pantanal is an immense tropical wetlands located mainly in western Brazil's Mato Grosso do Sul state. $3890 per person. With an $800 deposit required to reserve your space. Day 1 - We pick you up in the morning from the Cuiaba Airport (CGB), and take you, via private van and drive you (4 hours), to our lodging (Eco-Lodge), on the Northern Pantanal. During the drive, we enter the Transpantaneira, which offers some pretty good wildlife viewing on the road sides before reaching our hotel. Here we might find; crab eating foxes, rheas, tapirs, howler monkeys and/or giant anteaters. Day 2 - After breakfast, we spent a day seeking out wildlife on the Reserve, from the back of a specially-designed four-wheel drive vehicles. Drives along the Transpantaneira Highway, as well as private roads near the Reserve provide you with a safe and comfortable way to view an incredible array of mammals, birds and reptiles. We may also decide to do a night drive seeking out ocelots, anteaters and tapirs. Day 3 - 5 - After breakfast, we spent a full day on the river (AM and PM), seeking out jaguars, capybaras, speckled caiman, and river otters, lunch on the boat. Return to our hotel for dinner. Day 6 - We return you to the Cuiaba Airport (CGB), (4 hour drive) for your journey home. 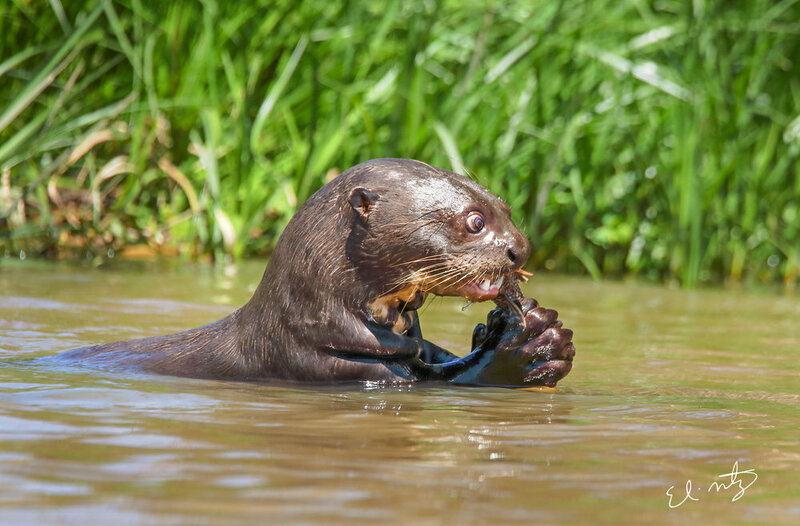 The Pantanal is also great for other wildlife, including river otters, tapirs, speckled caiman, cabybaras, howler monkeys and a lot of bird species, including the famous jabirus. Let us know you are interested in joining us. 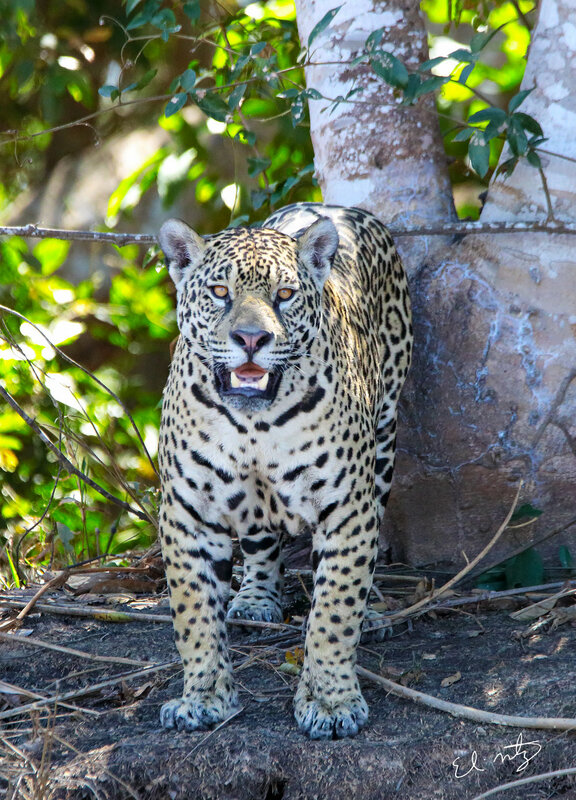 Thank you for your interest in our Jaguar Expedition. We will reply to your message ASAP!